For New Yorkers and “Islanders,” the words “Change at Jamaica” have, for generations, been nearly as familiar as their own names. 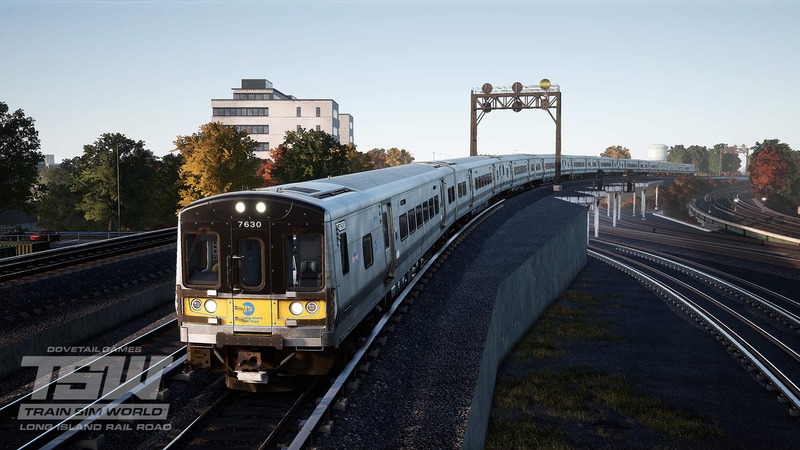 Jamaica, a gritty, blue-collar, middle-class neighborhood in the borough of Queens, New York, is the operational heart and soul of the Long Island Rail Road – and now all Jamaica’s verve and energy comes to Train Sim World with the new Long Island Rail Road: New York to Hicksville route! Jamaica comes by its importance and fame through being the major hub of the LIRR, with trains of all the railroad’s major lines save the Port Washington Branch funneling through the station and sprawling interlocking complex. Indeed, more than 200,000 passenger use or pass through Jamaica on an average weekday. And as if that was not enough, the Long Island’s major shops complexes also are in and near Jamaica. 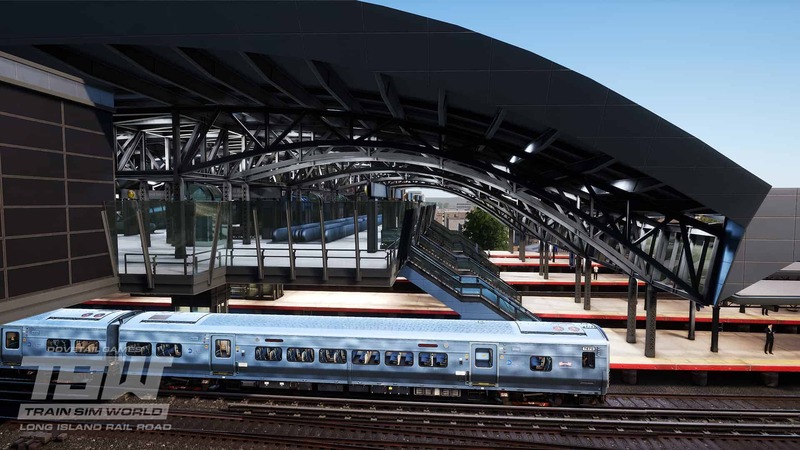 Jamaica station, naturally, stands at the vortex of all the action. 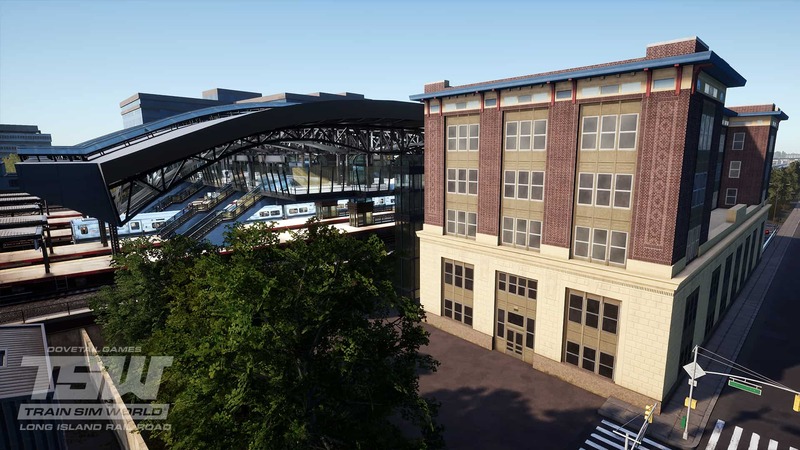 The station as it exists today is a remarkable blend of the traditional and the ultra-modern, with a classic multi-story brick station headhouse that dates to 1912-13 (and which also serves as LIRR’s headquarters) linked to ultra-modern overhead bridges and platforms dating to the early 2000s. Five platforms serve LIRR Tracks 1 through 8 and adding to the bustle of Jamaica are both the adjacent “AirTrain” light rail system that links the LIRR to nearby Kennedy International Airport and the New York Subway’s Sutphin Boulevard station. 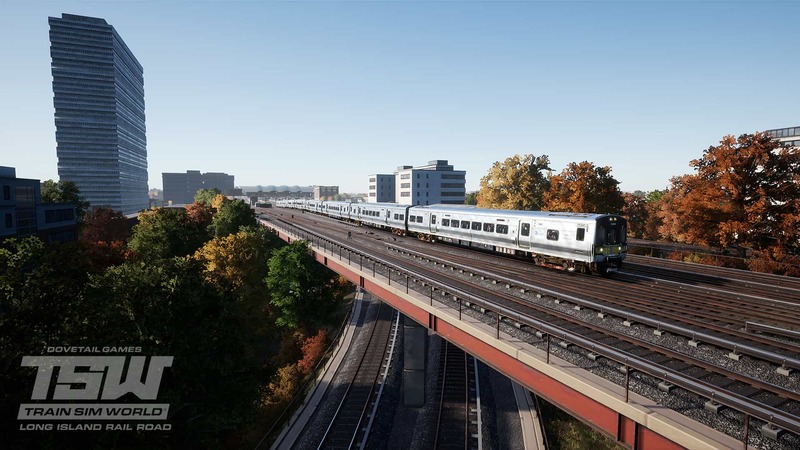 As LIRR’s major operating hub, Jamaica features one of the most complex and busy railroad junction complexes in the U. S., with multiple fly-overs to facilitate the ever-constant flow of trains. West of the station is Jay Interlocking, where the LIRR’s “main line” from New York City, the Atlantic Branch from Brooklyn, and a freight-only portion of the Montauk Branch converge. Toward the west end of this interlocking complex also stand the railroad’s secondary Richmond Hill and Morris Park shop and maintenance facilities (in the steam era, Morris Park was the railroad’s primary shop complex). East of the Jamaica station is Hall Interlocking where (west to east) first the continuation of the Atlantic Branch ducks under the mainline to proceed southeast toward Valley Stream and then the Montauk Branch flies up and over the mainline also bound toward Valley Stream and beyond. Just east of the junction between the main line and Montauk Branch stands the Long Island Rail Road’s Hillside Maintenance Complex, constructed on the site of the railroad’s Holban Yard. 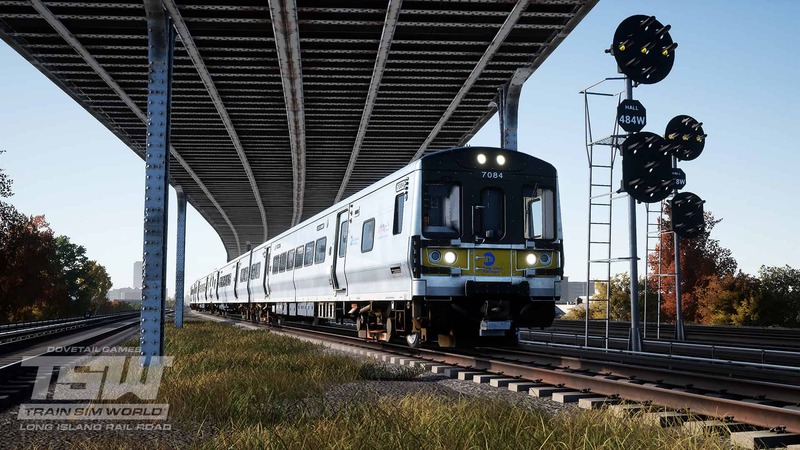 Built from 1984 through 1991 at a cost of $380 million, the modern facility spreads over 30 acres and is the primary maintenance facility for LIRR’s electric fleet including the more than 800 M7 EMUs that serve the railroad. The Hillside facility can service 60 cars at a time and performs nearly 4,000 inspections and running repairs annually and more than 150 full overhauls per year. The Hillside Maintenance Complex is served by an employee-only station stop on the main line. 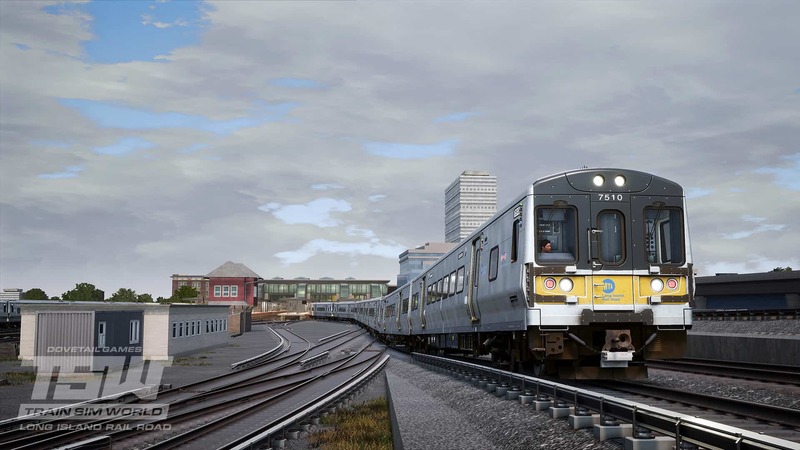 The Long Island Rail Road – America’s busiest commuter line – has come to Train Sim World! 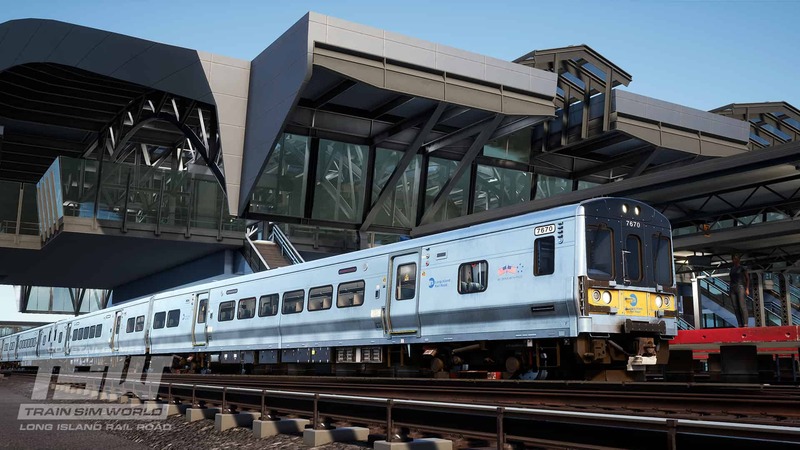 The operational heart and soul of the LIRR is famous Jamaica in the Queens borough of New York. Standing alongside one of Jamaica station’s five platforms and under its distinctive overhead canopies and walkways, a LIRR M7 EMU prepares to head east. Screenshots by Gary Dolzall on Windows PC. Jamaica station is a fascinating mix of the traditional and ultra-modern, with a multi-story brick headhouse (above) constructed in 1912-13 linked to trackside facilities (below) constructed nine decades later. Jamaica station also serve as LIRR’s headquarters. Immediately west of Jamaica station is Jay interlocking. A New York-bound LIRR train is just beginning to climb the flyover to access the “main line” to the Big Apple (above), while an eastbound train inbound from New York Penn Station uses the flyover to cross tracks serving the Atlantic Branch (below). At the west end of the Jamaica complex, LIRR EMU 7080 is on the point of a train arriving Jamaica from Brooklyn via the Atlantic Branch. In the distance is the railroad’s Morris Park yard and a freight-only portion of the Montauk Branch. East of Jamaica station is Hall interlocking. Having just departed Jamaica eastbound, a main line train (above) crosses over the eastward continuation of the Atlantic Branch, then a short time later (below) ducks under the flyover serving the Montauk Branch. Just east of the junction between the main line and Montauk Branch stands the Long Island Rail Road’s Hillside Maintenance Complex. 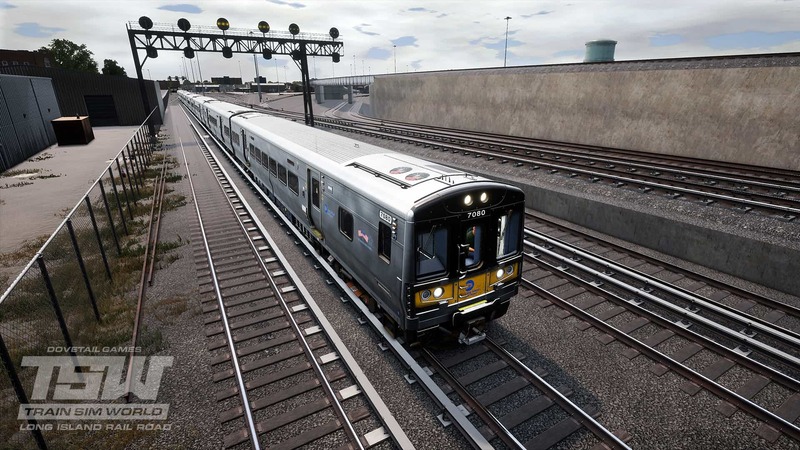 Built from 1984 through 1991 at a cost of $380 million, the modern facility spreads over 30 acres and is the primary maintenance facility for LIRR’s electric fleet including the more than 800 Bombardier-built M7 EMUs that serve the railroad. 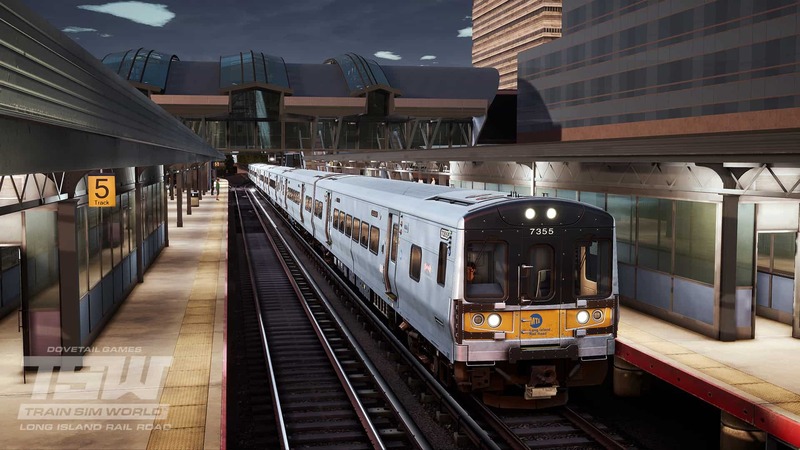 The Long Island is America’s busiest commuter railroad and operates 24/7. 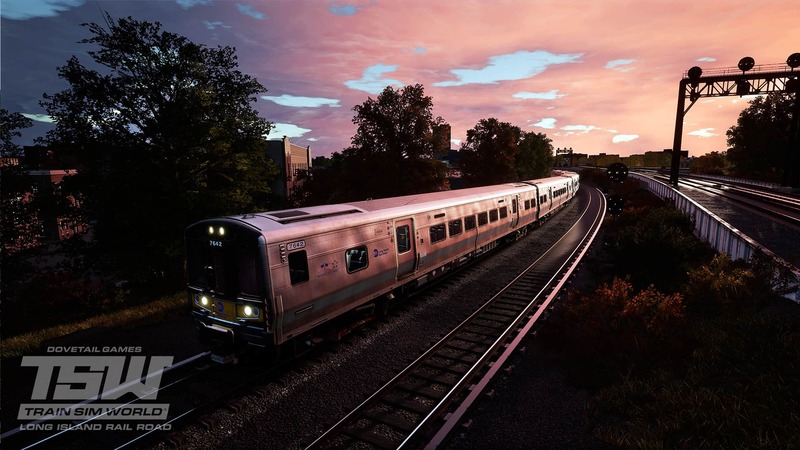 Dawn is just breaking as a Penn Station-bound train swings along the LIRR main line as it departs Jamaica (above), where another train eases alongside Jamaica station’s 1,000-foot-long platforms (below). 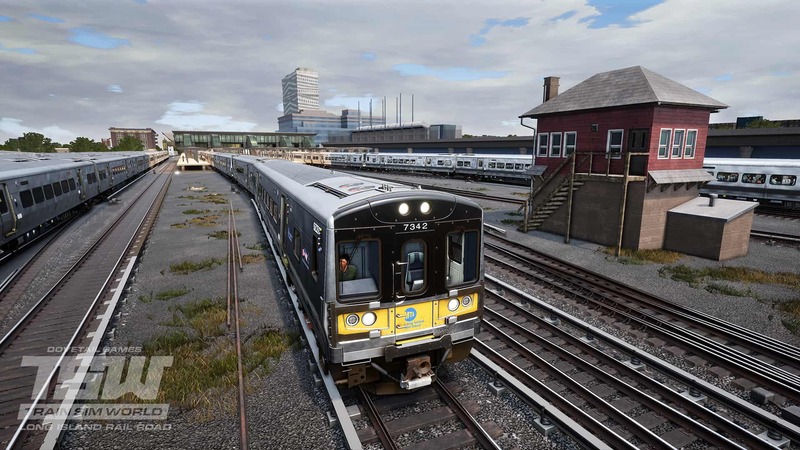 Train Sim World’s Long Island Rail Road: New York – Hicksville route is a highly authentic re-creation of America’s most famous commuter railroad and Jamaica is at the very heart of the captivating and challenging action! 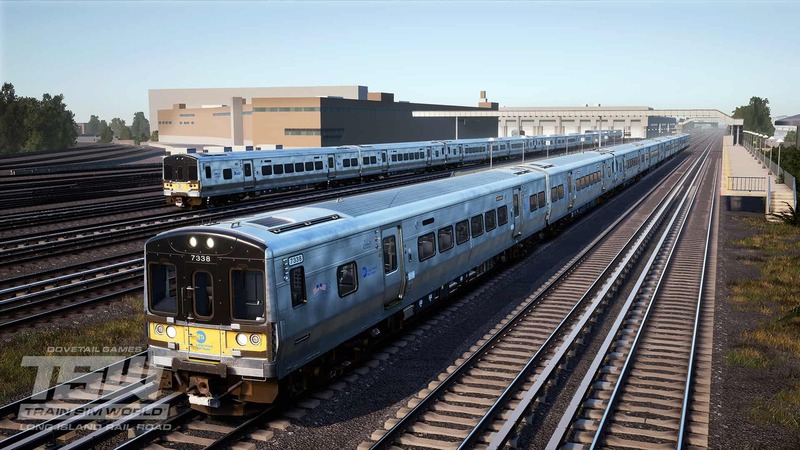 The Long Island Rail Road: New York – Hicksville route is now available on Windows PC, Xbox One and PS4!